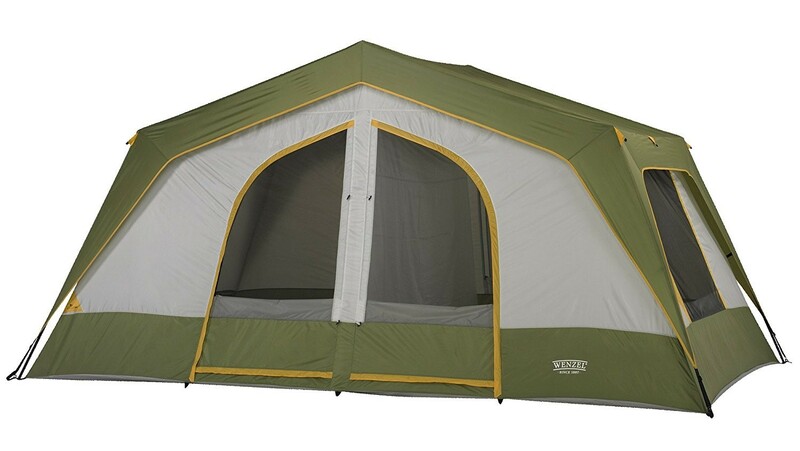 The Vacation Lodge Family Tent creates a literal home away from home, with a comfortable walk-in, 2-room, high-ceiling design. 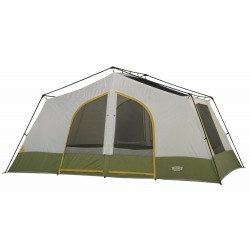 The tent is well ventilated with an over 7 foot center height, back-to-back, double Dutch "D" doors, 6 closable windows, and a fully vented roof. 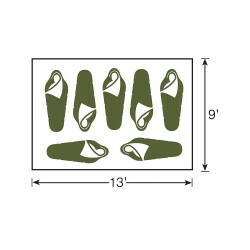 In wet weather the Vacation Lodges' rainfly and welded polyethylene floor provides the protection you need to stay dry. 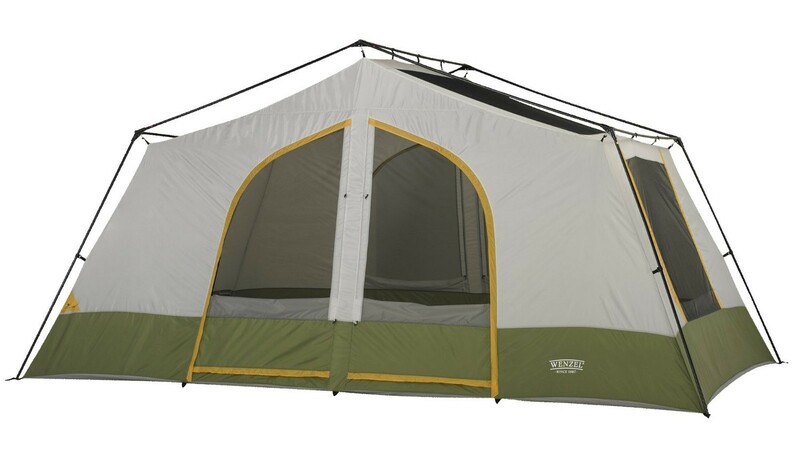 Amazingly easy to set up for such a large and stable tent, the Vacation Lodge features central hubs that connect the roof to steel uprights and a simple-to-use fast-feet system. 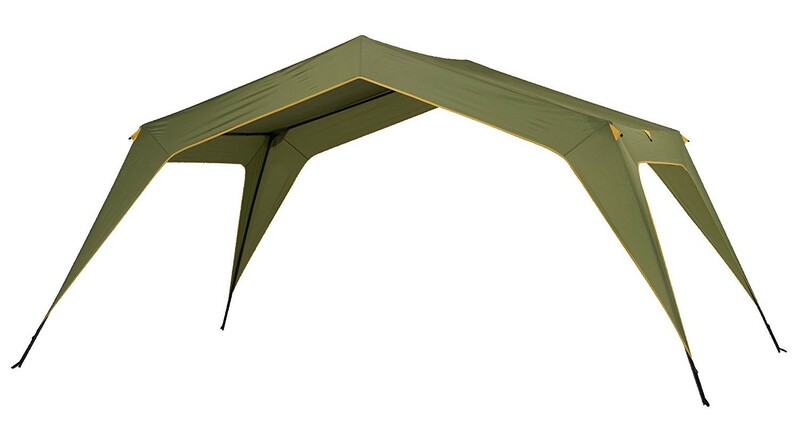 What's more, when you are just going out for the day to picnic, you can bring just the poles and rainfly and create a free-standing sun shelter. 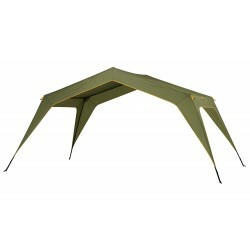 Essentially you can buy a tent and a sun shade at the same time with the Vacation Lodge. 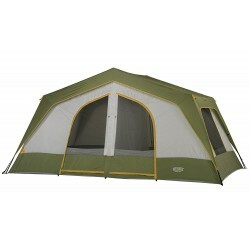 In tent form, the Vacation Lodge is equipped with two hanging pockets, making it easy to keep larger groups organized. Additional details include a E-port to make it easy to run electrical cords out of the tent, steel stakes for secure placement, and a convenient travel and storage duffel.